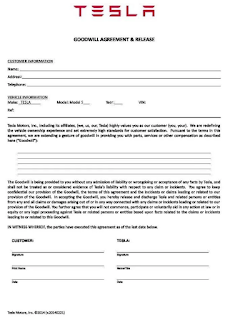 TESLA UPDATES: Elon Musk: 37 of 40 suspension complaints to NHTSA were fraudulent. Who's behind it? Elon Musk: 37 of 40 suspension complaints to NHTSA were fraudulent. Who's behind it? After Tesla Motors debunked Edward Niedermeyer's story about Model S' suspension failure, Elon Musk tweeted on Friday that 37 of 40 suspension complaints to NHTSA were fraudulent and registered to false locations or vehicle identification numbers, adding that NHTSA have found no safety concerns with the Model S suspension and have no further need for data from Tesla on this matter. This does not seem like a random coincidence, only three Tesla vehicles have been verified by the NHTSA with suspension complaints while the rest of the vehicles were simply made up. This leads us to believe someone was orchestrating and trying to tarnish Tesla's reputation even though there was no major safety issues with their cars to begin with. Niedermeyer's inaccurate article titled "Tesla Suspension Breakage: It’s Not The Crime, It’s The Coverup" managed to drive Tesla's stocks on Wednesday down by 3 percent when major media outlets picked up on the story, without doing more digging. So what does he have to gain from this and is he acting on behalf of special interests? "Would seem to indicate that one or more people sought to create the false impression of a safety issue where none existed. Question is why?" Elon Musk tweeted. We do know that Niedermeyer has been on a campaign - since 2008 - to spread false and negative stories about Tesla, his blog on thetruthaboutcars.com titled "Tesla Death Watch" was literally filled with biased articles specifically written to slander Tesla's name. 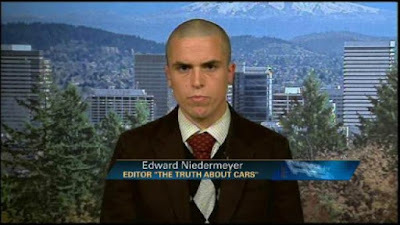 In fact, ex Editor in Chief Niedermeyer's last article there is dated from 2010, but his ex-colleagues seem to have picked up from where he stopped by posting - since 2012 - selected negative titles about Tesla. Niedermeyer seems to have moved on to DailyKanban.com as a strategic partner and is continuing his Tesla crusade. His Linkedin profile states his position as "Principal" to Argot Industries LLC - a Wordpress blog - and CEO to an unnamed startup company offering "a new model for media and PR professionals that empowers journalists to put the story first while putting the "strategic" back in "strategic communications." The nature and specifics of this strategic communications model is left unknown and sounds very suspicious. In addition, Niedermeyer seems to have used Keef Wivaneff's flickr album titled "Tesla Model S - Unsafe at any speed" - which is filled with randomly wrecked Model S vehicles - to back up his story. Furthermore, Keef (or Keith Leech) claims to be a retired engineer from Adelaide, Australia. 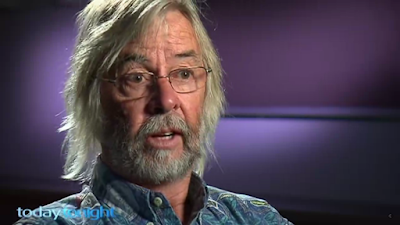 He went after Greg Watson, inventor and marketer of the SunCube, accusing him of scamming the State Government of South Australia. He went on to published an ebook about it titled "The Great SunCube Swindle", and since two days ago, he is going after Tesla with a Gofundme page claiming that the Model S' wheels "fall off and kill people but Tesla sweeps it all under the rug". Keith has a Youtube account with three videos in three years uploaded exclusively to bash the Model S and X. Googling him reveals that he actively posts negative comments on articles published on major news outlets about Tesla in the last few years, leading Elon Musk to describe him as "...more likely unhinged than nefarious" after investigating his motives. 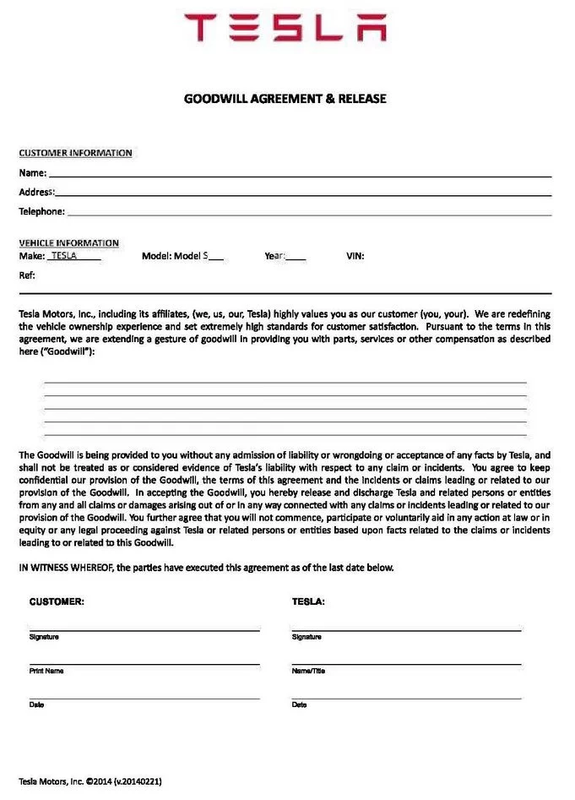 "The agency immediately informed Tesla that any language implying that consumers should not contact the agency regarding safety concerns is unacceptable, and NHTSA. expects Tesla to eliminate any such language. Tesla told NHTSA. that it was not their intention to dissuade consumers from contacting the agency." Featured images: Fox Business, Today Tonight Adelaide. this "keef" guy just set up a gofundme page.... specifically for the purpose of screwing with Tesla. It has just been published on NHTSA website. I'll ask the question again.. If as (Musk has claimed) my reports are fraudulent then WHY are they still publishing them? THE SPIRIT OF THE AGREEMENT WOULD PROBABLY DISSUADE OWNERS FROM REPORTING PROBLEMS. "If as (Musk has claimed) my reports are fraudulent then WHY are they still publishing them?" they publish anything that anybody submits on the web form. I could submit one (like you did) even though I do not own a Tesla. Merely the act of publishing it doesn't mean a thing, and frankly, it seems like you are wasting their time for no particular reason other than not liking Tesla, despite your claim that you like electric cars. Not me....I quite like the idea of electric cars. Small all electric ones for city use. The 2 Ton Terdsla with Insane and Ludicrous acceleration and "snap-off axles" not so much.